The 2018-19 Champions League is already in full flow, with multiple teams already securing their knockout stage qualification. There is are still a few games to go, so it’s not quite obvious who the main competitors willbe byMay 2019. However, there are multiple teams who have settled into the competition nicely and look like a major threat. If you’re looking to have a punt on a dark horse, favourite, or an underdog, have a look at some of the below teams to watch out for going into the knockout stages. Manchester City isalready top of the Premier League this year and looksalmost certain to bring home the trophy again should their excellent form continue.Cityisalso the favourite to win the major European title for the first time in their history, and that’s for good reason. They look like the best team in the world at the moment. They are not only scoring goals for fun; they are also conceding the bare minimum. 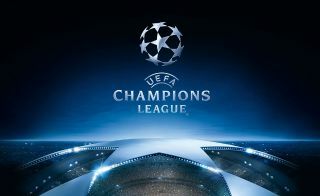 Ultimately, they have everything to take the Champions League back to Manchester apart from experience, but we all know they have the quality to go on and beat the likes of Barcelona and Real Madrid to the top. Barcelona hasso much quality going forward, even if they aren’t quite at the top of their game in La Liga. The Champions League is a completely different story, however, and any football fan knows it. Barcelona will give it theirall in the final stages of the competition and, having Lionel Messi and Coutinho in their strike force, they are going to have as good a chance as anyone else in the competition. They’ve already won the major trophy five times, so they aren’t short of confidence or experience. Will they have what it takes in 2019 or will they struggle against their rivals in Real Madrid? Juventus looked like they were missing that one quality player last season to take them to European glory. However, after the unlikely acquisition of Cristiano Ronaldo, they now have a big chance to take the cup back to the San Siro. All teams could do with another player or two to give them fresh legs in the final stages, but Juventus know they have plenty of depth and professionals to give them a fighting chance. Juventus look like they’ll be going into the final stages of the competition as group winners above Manchester United, so they should have “easier” opponents in the first stage of the knockouts, which could prove to be a massive advantage. Take a look at the sports betting section on the Stakers website to see what odds you can get on Juventus winning the biggest club tournament in world football. It could be worth a bet if you are feeling lucky! You can’t count Real Madrid out of any tournament they take part in – they just have too much experience and quality to overlook, which is why they are still one of the favourites to take the title back to Spain. Madridiscurrently not competing in La Liga after a poor start to their domestic season. However, they always seem to look forward in the Champions League, and with players like Gareth Bale, Isco, and Benzema at their disposal – they could still be the team to watch out for. Admittedly, they are still missing someone like Cristiano Ronaldo after he went to Italy in the summer, but they do still have Gareth Bale, who looks to be their star player. Although Liverpool isclassed as outsiders to win the Champions League come the final in 2019 – they still have a real chance to take home the trophy if their domestic performances are anything to go by. Liverpool hasbeen brushing teams aside in the Premier League thanks to their attacking capabilities, and they’ve also kept it much tighter at the back when compared to last season. Winning the Champions League doesn’t come without a good defence. Gomez and Virgil Van Dijk have formed a good relationship at the back and the likes of Firmino, Salah, and Mane have things covered at the top. These are all world class players who could cause a major upset against the European giants. PSG seem to be hit and miss in the Champions League. They lost to Liverpool in the group stages and they haven’t really got going, which is unlike a team consisting of their quality of players. They haven’t had Neymar in his usual perfect form due to an injury, but if he comes back flying on all cylinders again he should take them forward. Mbappe is another star player who could change things around for PSG as soon as the group stages. The fact is, PSG can turn on their quality with a flick of a switch so, although they didn’t do brilliantly in the group stages, the knockout stage is where it all matters. Many football fans (especially Manchester City) will likely laugh at even the thought of Manchester United winning the Champions League this year. However, they’ve secured qualification to the group stages, and they have plenty of experience winning it in the past. They certainly don’t have a world class squad when compared to the likes of Manchester City or PSG, but what they do have is a manager in Mourinho who has taken teams like Porto to European glory in the past. If United stand any chance of winning the Champions League in 2019, though, they’ll have to sort out their defensive problems before they face the big guns. The Champions League is always full of surprises, so it wouldn’t be at all surprising to see Porto win it again. With that being said, the teams that seem to have the best chance come May 2019 are the ones above. They all have experience, good squads, and the ability to win games 1-0 when it comes to it – which counts for a lot in the knockout stages.